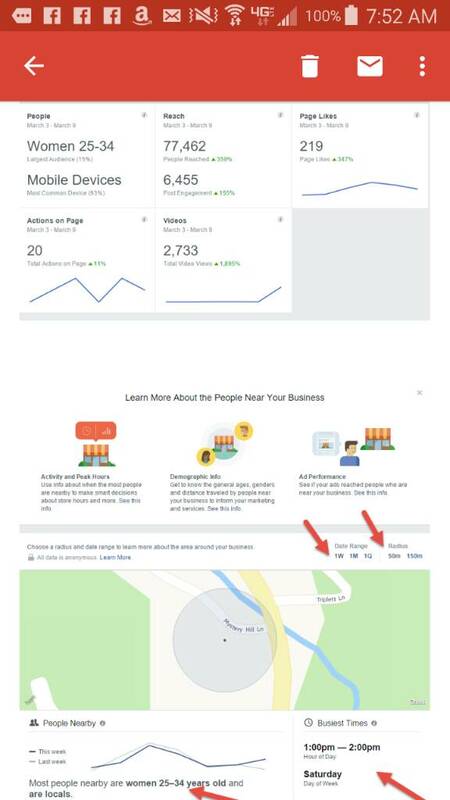 One of the best things ive discovered for driving traffic is Boosting a post on my business facebook page. While some or most may have seen the option to boost a post, Have you done it? My phone rings off the hook when I have certain tire specials going on, Or just a post for auto repair in general. I probably spend more than I should, Still working on making it efficient, But I do see results. Anyone else doing this? Feel free to share. Social Media Marketing is word-of-mouth advertising on steroids. Here's some data from our other business. 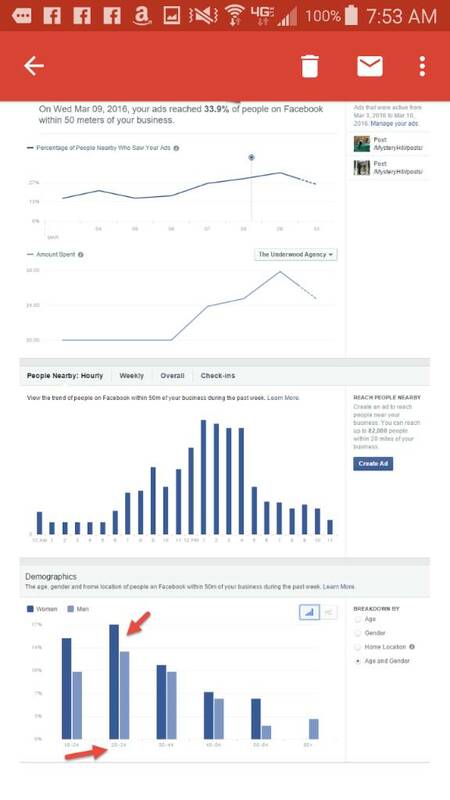 Facebook is the main source of advertisement, weekly we see 400-600 patrons who mention they found us on facebook! Very Nice, How do you narrow your reach down? I sell used tires as well so i like to go probably 50 miles out. Its effective as I get people in that dont even come to my city for anything. There are settings and features which allow you to set the desired area for your adds! We also use Facebook advertising by boosting a particular post, choosing the demographics and area we want. It has worked very well for us and it is cheap advertising. The one thing I do hear our Facebook administrator tell other business owners is to be specific on the ad you boost. Instead of focusing on the entire shop, focus on one specific area, like brakes...... and use lots of pictures!! Our A/C ad had a picture of a dog hanging out the car window. Are you managing the ads yourself or do you guys have a company doing it? I recently had a sales pitch from a guy who charges $1200 a month (not including ad budget). There is a 30 day trial with him but I think the price is high unless the ROI proves to be amazing. I tried 2 different campaigns on my own with not much luck. I've had autoshop owners who have used Facebook and/or Google adwords and they all got results. The problem is, when the ads stop so do the customers. We are deriving far better ROIs (return on investment) on cheap SEO tactics like using keywords tied to cities and zip codes and attaching alt tags to images. YouTube videos work great, too. I have one client, a PDR guy, makes over $250,000 a year and relies on little more than SEO (and working extended hours to serve all his clients). I have another Auto Pro who was spending $600 a month on Adwords. I SEO'd his site and now he gets More customers and keeps his $600/month for himself. SEO is an asset. Advertising is an expense. I'm getting rid of Facebook. Too much hassle. Had a customer complain that we put a hole in his engine block doing a water pump and timing belt and he's now leaking oil. We did the repair 7 months ago. Within an hour of the one bad review I had two additional reviews from people I investigate who happen to be friends of the first guy who said we used tape to cover an engine block hole! There's no policing this type of thing. I get good results from Google Adwords and I took my Facebook account down. There is no policing any type of review platform unless it is on your own website. Yelp, Googl Review, Facebook etc fall into this category. I know you are pissed off and I would be as well however by just turning off facebook as an act of defiance you are just keeping yourself in the digital dark ages. To make any any social media / review platform work for you, you must be consistent. To drown out the negative reviews you must obtain positive reviews. The only way you get ahead of it is to embrace the good with the bad. There is nothing anyone can do to stop change. This is the world we live in. Respectfully disagree. I have a productive website, SEO working, and Google Adword campaigns. Facebook is expensive to drive traffic in comparison. It also brings out the people too willing to throw flames without thinking, without consequence. I watched a concerted effort to slander my business reputation with false claims yesterday and I've seen it happen too often to others as well. I'm nowhere near the digital dark ages as you suggest but I appreciate your thoughtful and kind words. Yes, I am pretty disappointed in the Facebook folks and I've tracked FB for three years. It's brought me minimal to no direct positive benefit. It has brought me hours of worry and stress. I've called each negative review I've had (about 6) since I bought my shop three years ago and not one of them would talk with me. Not one of them had a complaint while here for service. One complaint declined all services and still complained because he did the repair himself across the street in a parking lot in 30 minutes and we were charging him 5 hours of labor. Again, a flat out lie. The others who don't answer their phones or return my calls to discuss know they're not telling the truth or the whole story yet are willing to go out online and try to ruin my reputation. I've lost sleep and bent over backwards to help EVERYONE in my shop, especially the malcontents. There isn't enough business from Facebook to justify the headache and return.